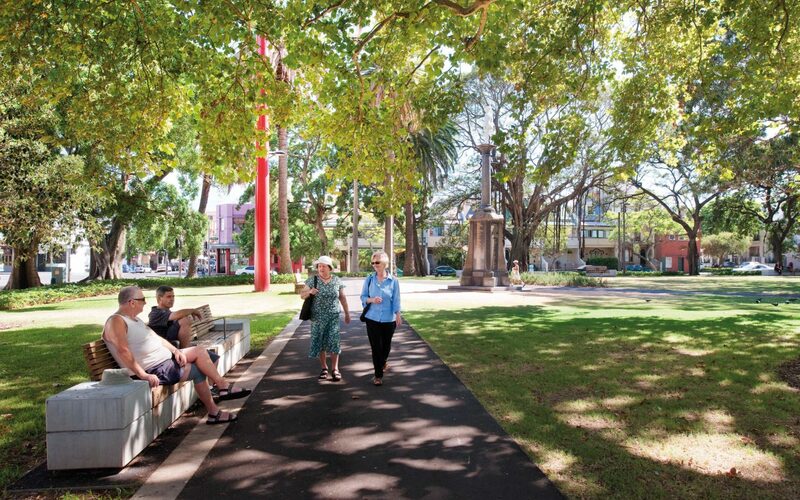 Established in 1885, Redfern Park is one of Sydney’s most historically significant urban parks. 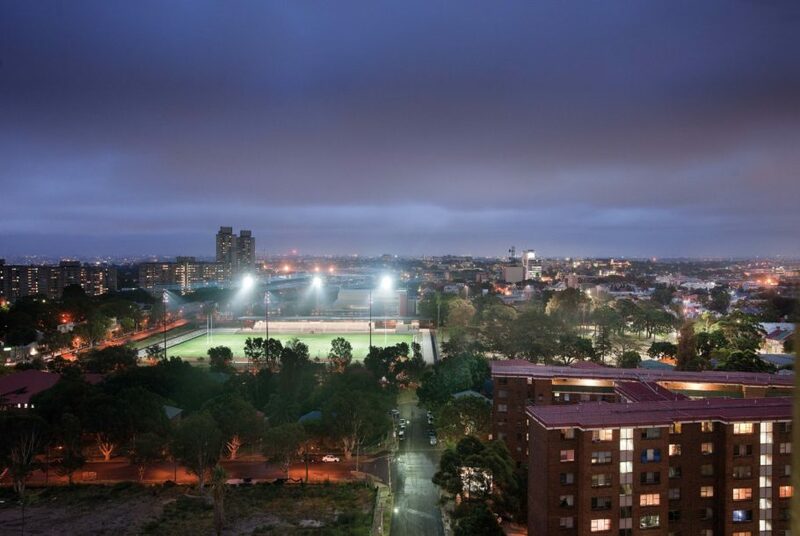 It was compromised in the late 1960s when Redfern Stadium was built, cutting the park in two and alienating it from the local community. 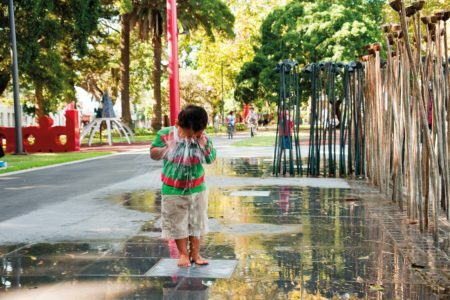 This project was about rebuilding Redfern Park as a focus for the community. The simple landscape gesture of depressing the playing fields and moving the stadium to the side re-established long forgotten vistas and axes. 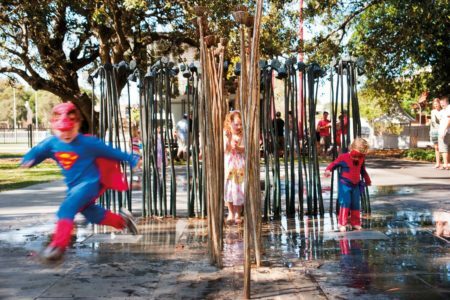 This metaphor of healing the park became emblematic of a wider social program. Sport, as represented by the Redfern All Blacks and the South Sydney Rabbitohs, was a means of engaging with the disadvantaged indigenous community. A playground that explores ideas of contemporary Australian society and its relationship to the original inhabitants was created by indigenous artist Fiona Foley. 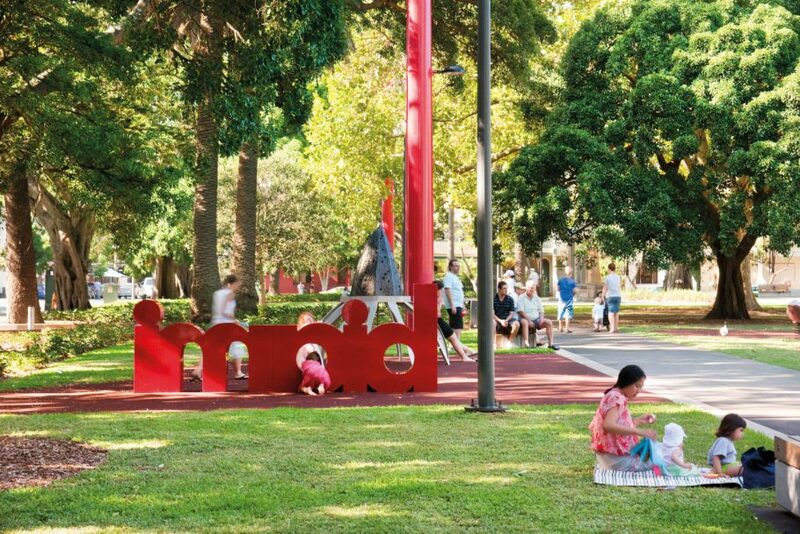 A source of pride for the local community, Redfern Park has come to symbolize the rebirth of Redfern. AILA National Award for Urban Design 2010 citation.